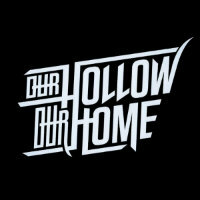 Our Hollow, Our Home have released a new single. Father & Ghost will feature on the rising metalcore bruisers' sophomore album, 'In Moment // In Memory', due out on October 19 through their own label, //Hollow Music. Head here to read what vocalist and guitarist Tobias Young said about the writing process behind the record. The Southampton band's annual Holloween party will take over 1865 in their hometown on October 27, prior to their UK and European tour supporting Glamour Of The Kill in November. Click here to compare & buy Our Hollow Our Home Tickets at Stereoboard.com. Our Hollow, Our Home will embark on a headlining tour in February. Our Hollow, Our Home have announced details of their second album, 'In Moment // In Memory'. Our Hollow Our Home have announced a new show.